This week we have a huge post with all the latest store finds from around the world! 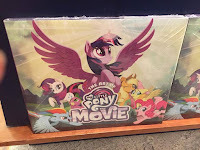 And of course we see some more releases from the movie series, but also some random merch, close-up photos of the new Build-a-Bear plush and loads of books from the movie. 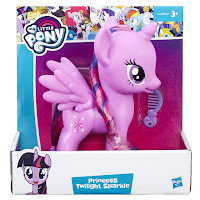 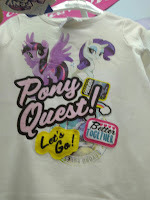 Loads of finds at Target this week, but the release of several MLP the Movie books, wave 16 blind bags (finally), MLP the Movie string light and some other miscellaneous items. 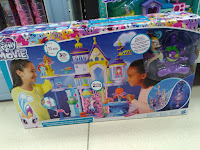 Also included below is a pretty large Activity Kit released under the Reboot Series that was found at Sam's Club. 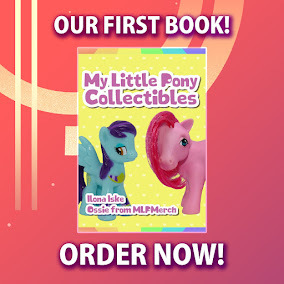 Do note that a lot of books have also been released on Amazon if you prefer online shopping. 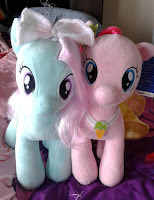 Now available at Family Dollar are these 10" Seapony plush. 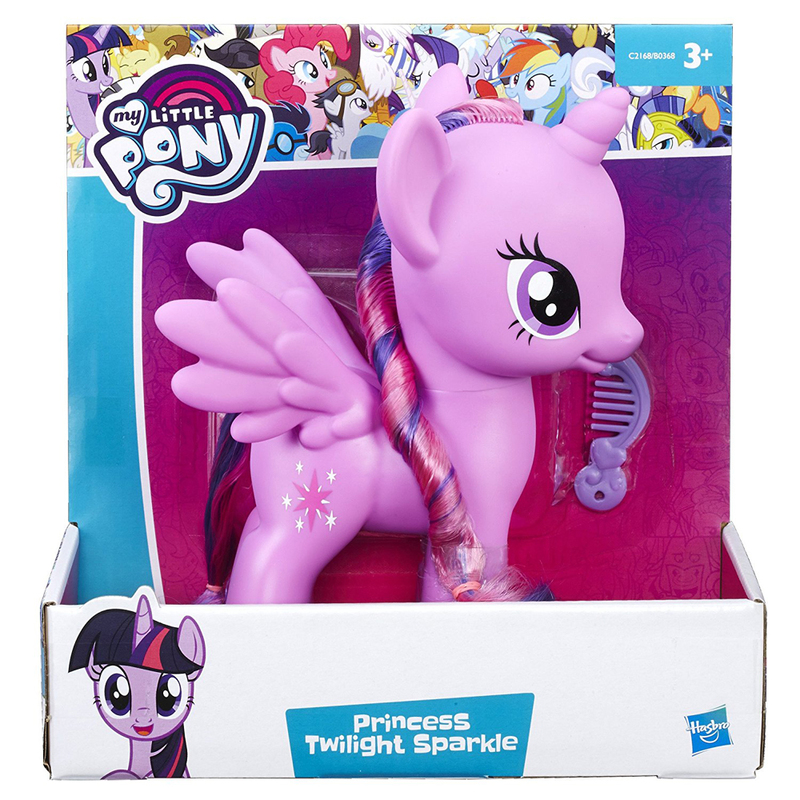 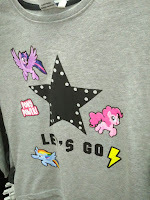 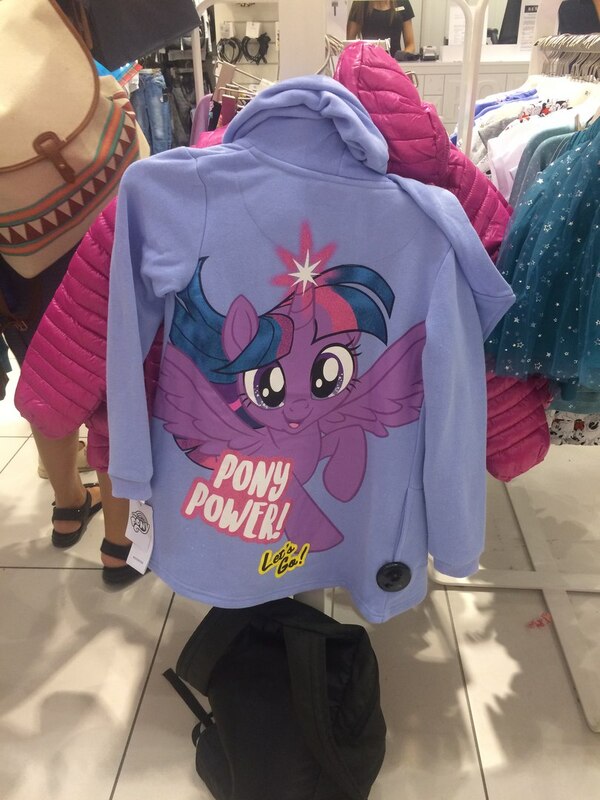 This first wave only features the regular trio of Pinkie Pie, Rainbow Dash and Twilight Sparkle. 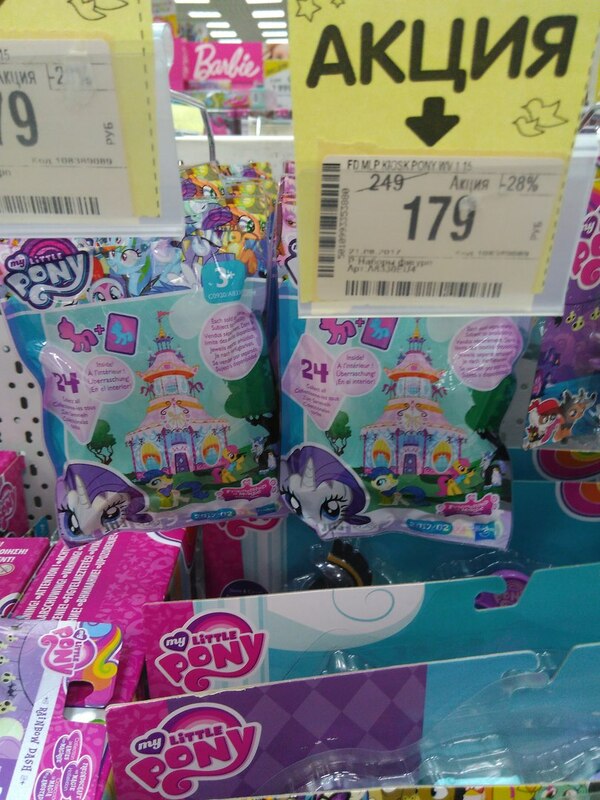 Prices are currently unknown, but expect them to be around $10. These look absolutely adorable! 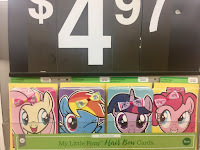 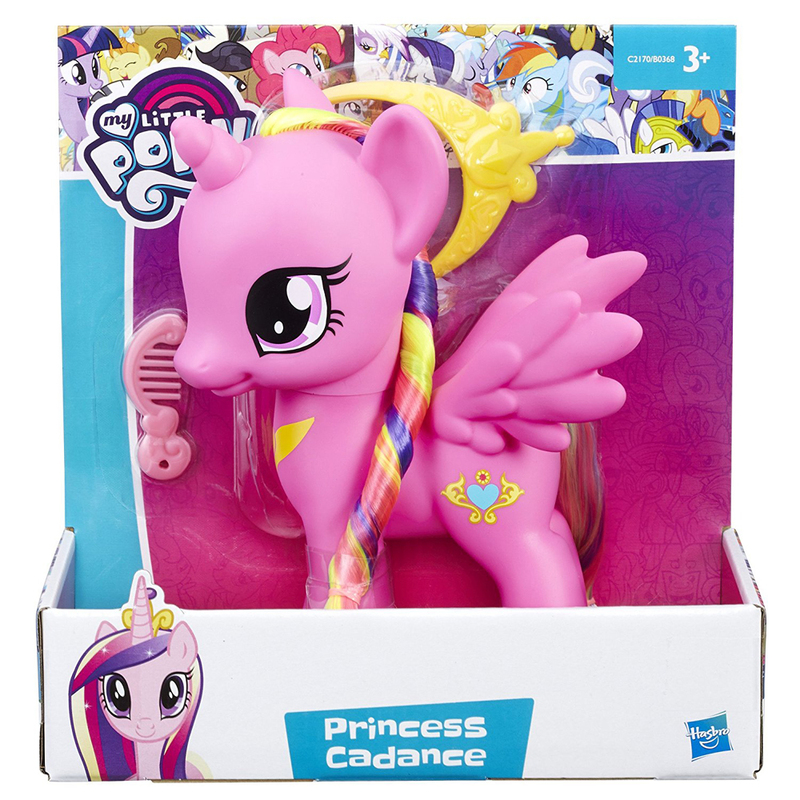 Available at Walmart is a series of 4 My Little Pony "Hair Bow" cards with Fluttershy, Rainbow Dash, Twilight Sparkle and Pinkie Pie. The hair bows can be detached from the card on worn by yourself or the recipient! 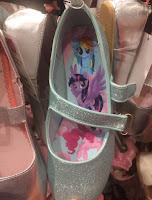 If the price above ($4.97) is correct, they're a bit on the expensive side, but they're still darn cute! 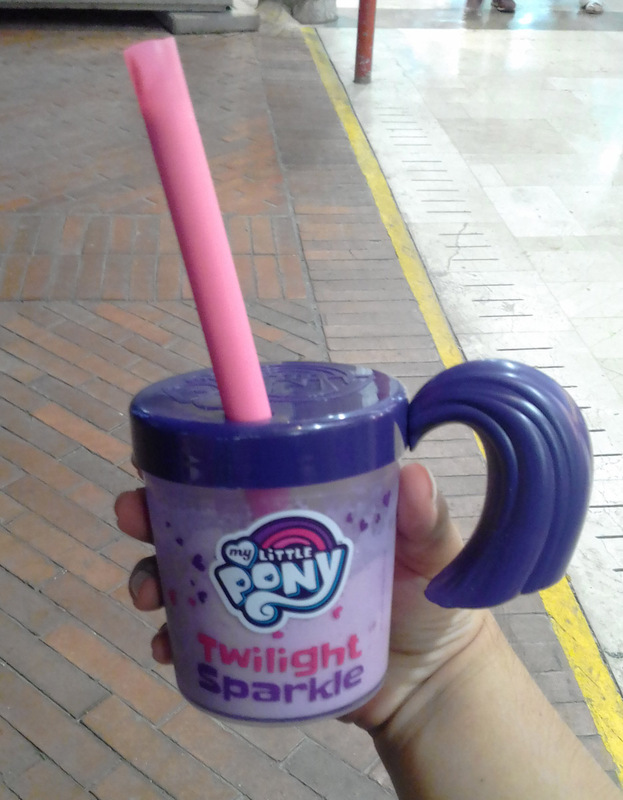 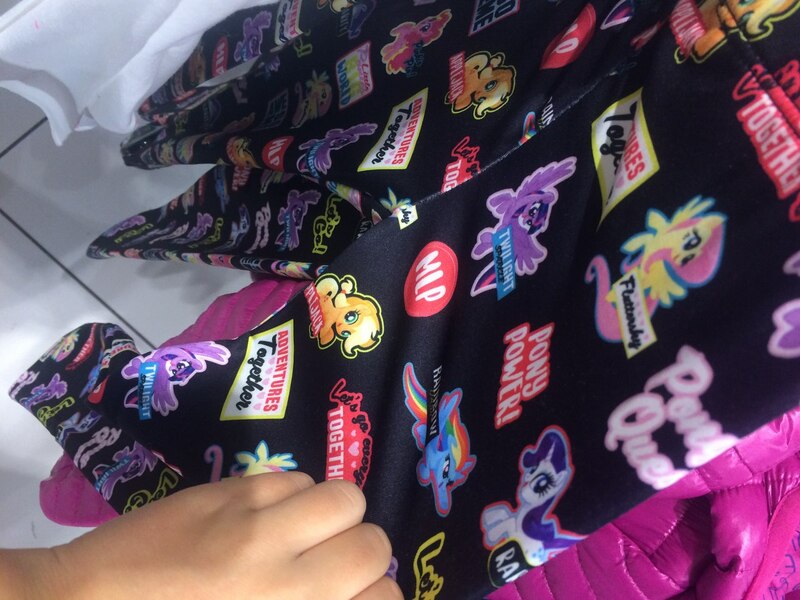 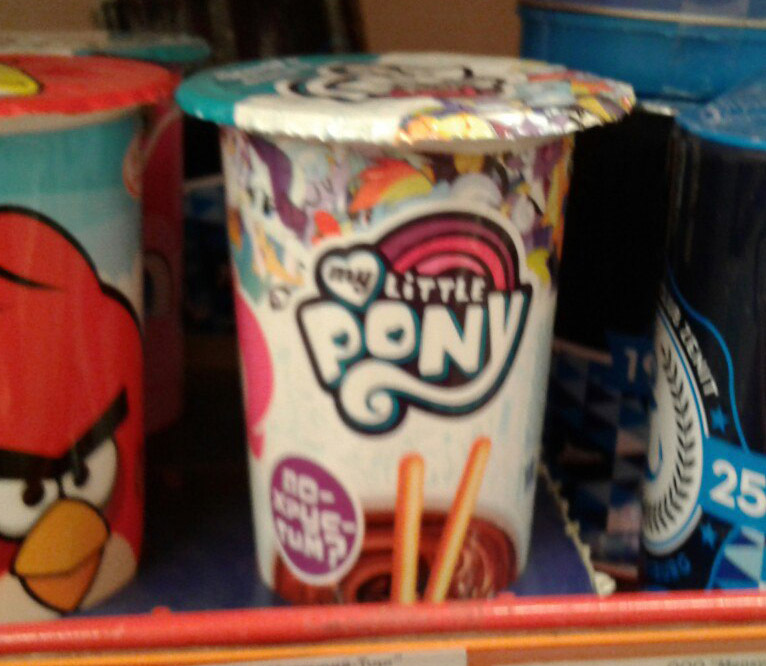 Something quite unusual are these My Little Pony drinking cups spotted in Colombia. You can get these 9 ounce cups with designs of Twilight Sparkle, Rainbow Dash and Pinkie Pie at Popsy ice cream shops for free with purchase of a milkshake. They have a video online showing the designs of the other available cups. 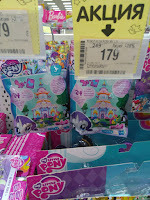 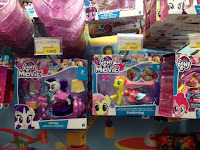 Several MLP The Movie books were also released at Toys"R"Us this week, including the prequel comic, Sparkle and Shine and the deluxe version of the junior novel. 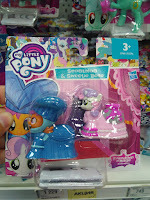 Also available was Twilight Sparkle's Undersea Carriage set. 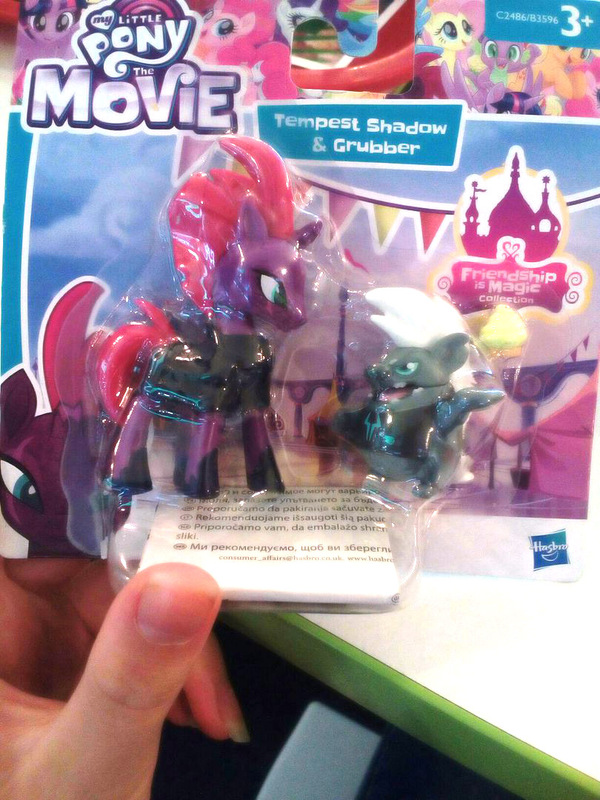 Tempest Shadow is in the shape of the princess ponies (Celestia, Luna, etc) so her legs are thinner. 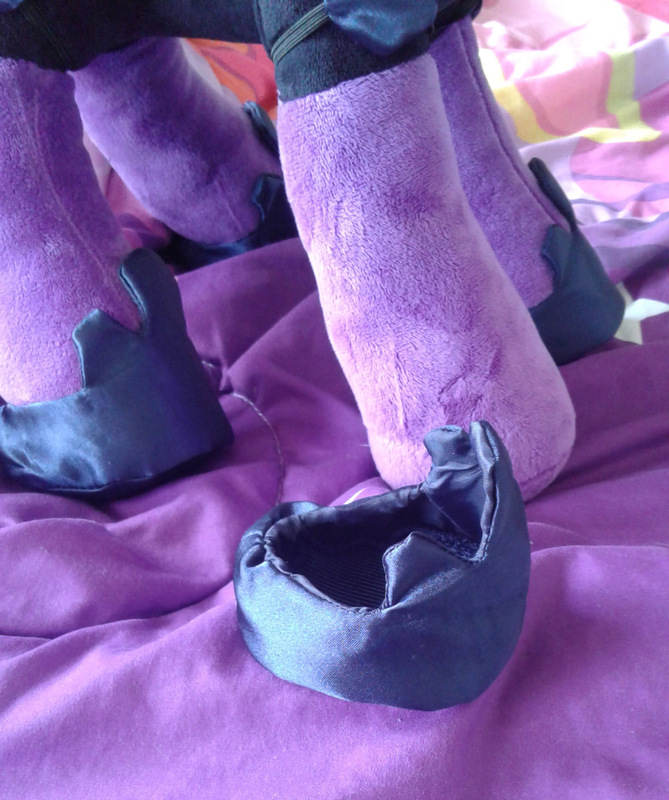 Her outfit contains 4 boots (they are soft, so they fit over her hooves no problem.) 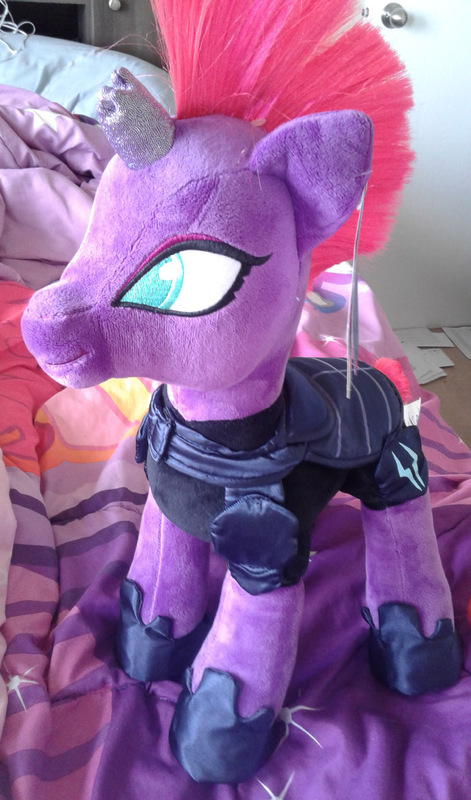 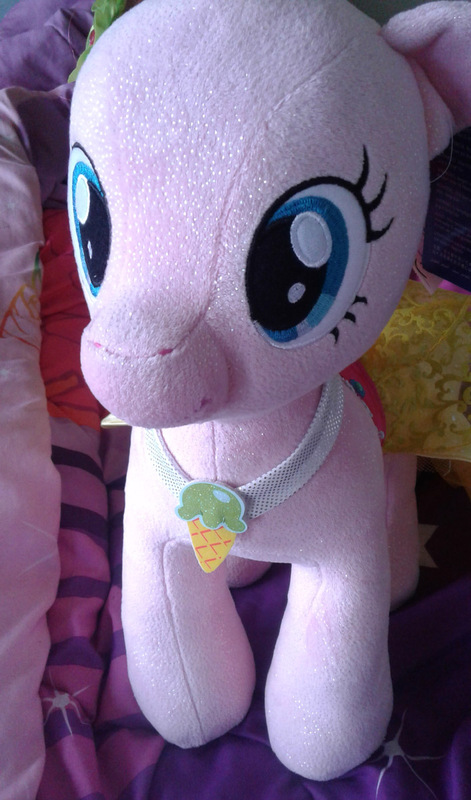 and as a note, her mane is also encased in plastic when you get her, so it retains it's shape when you take her home. 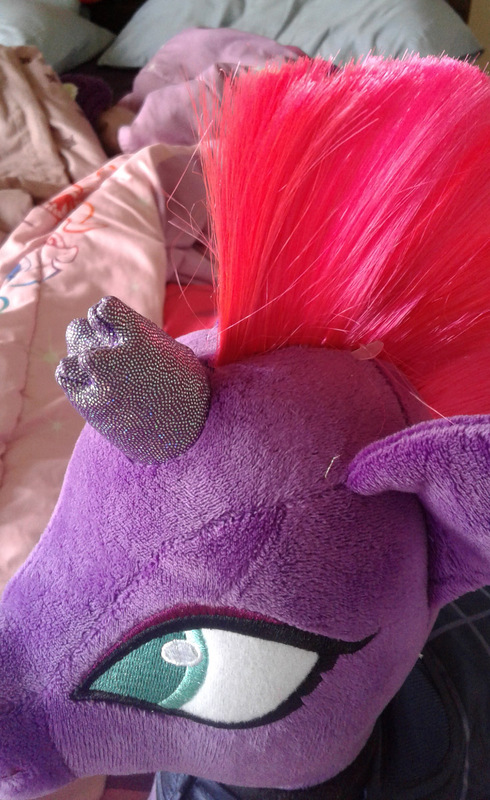 As a last note, I noticed someone asked if the mermaid tails fit on the older ponies. 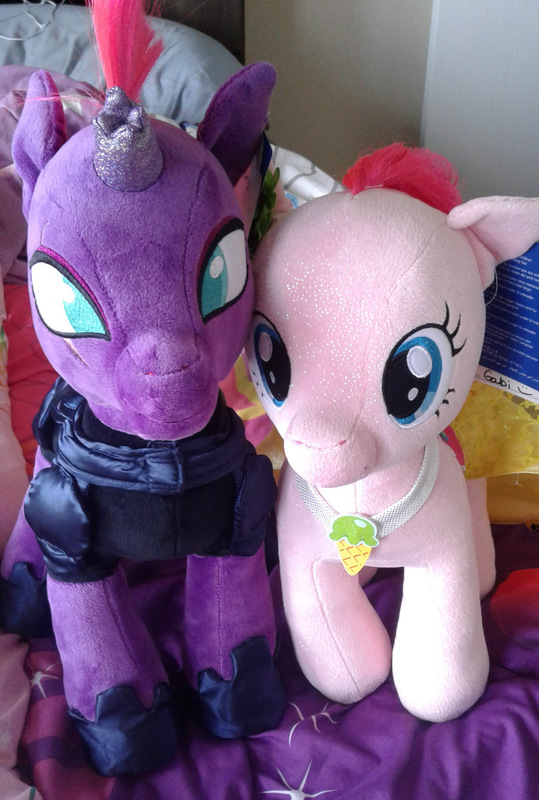 I didn't purchase the new mermaid outfits, but I tested one out on their older ponies they had there, and they do fit the older models just fine, and the older clothes fit on the newer ponies too. 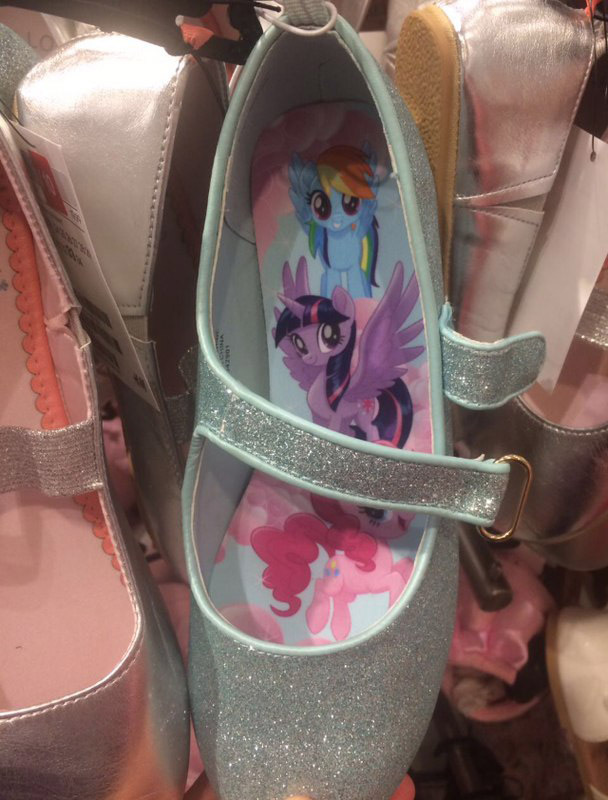 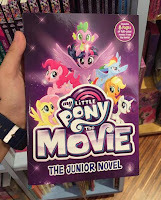 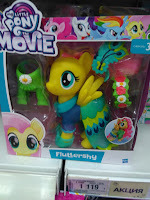 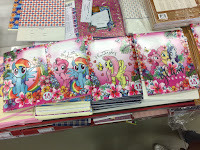 And the final place where MLP The Movie books have been spotted was in Singapore. 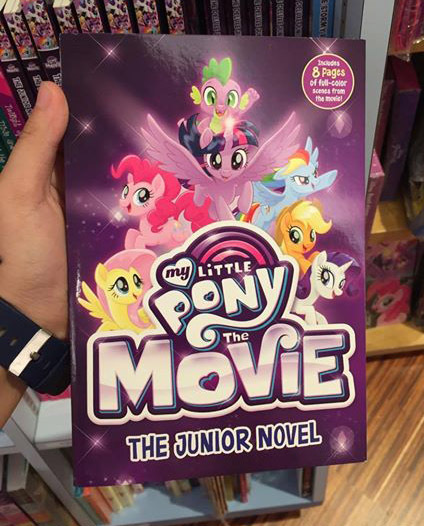 Both the regular version of the junior novel and Art of My Little Pony the Movie are available at Kinokunya. 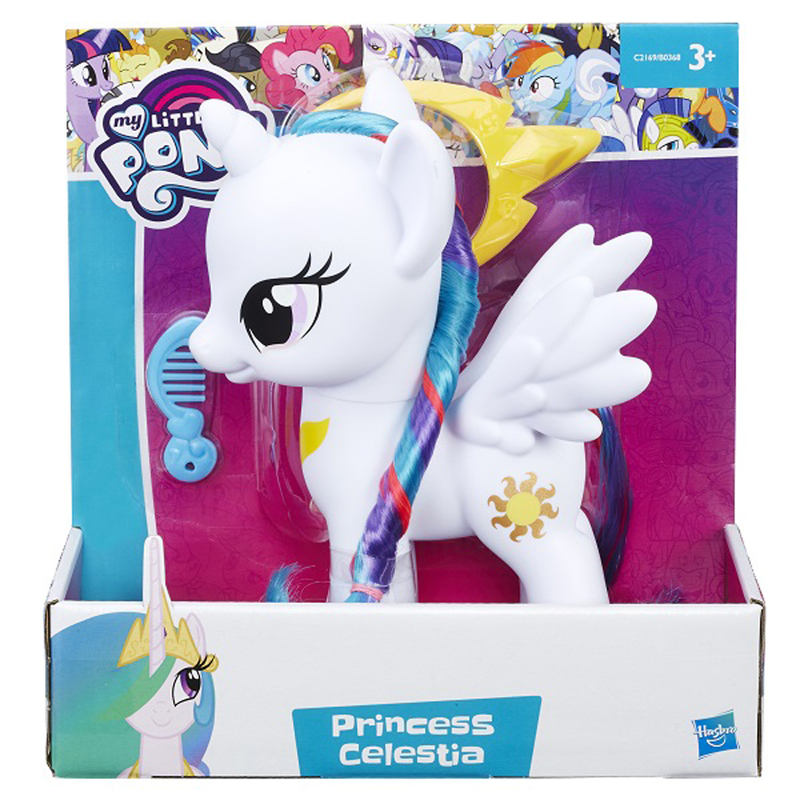 We were waiting for images and availability of a re-release set of various Styling Size ponies, and now they've finally arrived on Amazon. 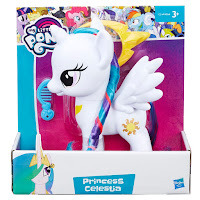 All figures have been released before, and the only change for these is the packaging, but this does mean that those who missed the original release have another chance to get them. 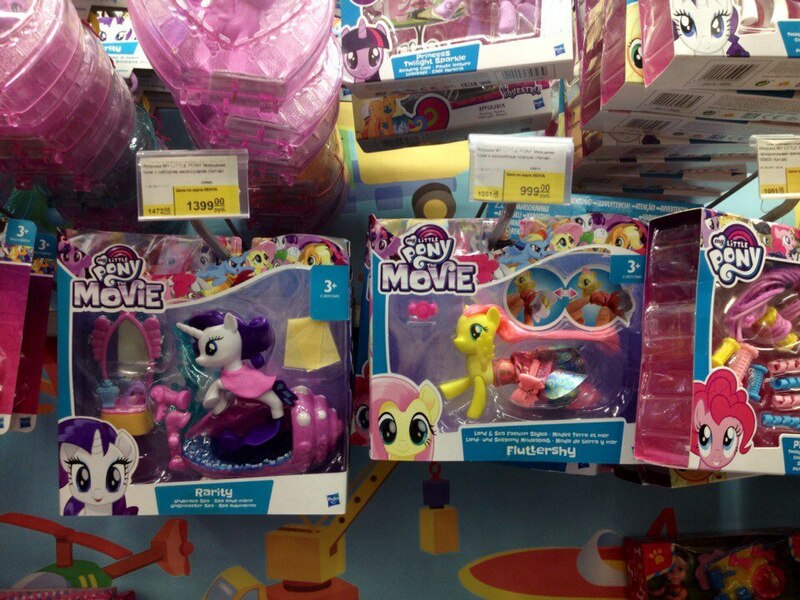 Quite a few finds from Russia and Bulgaria this week! 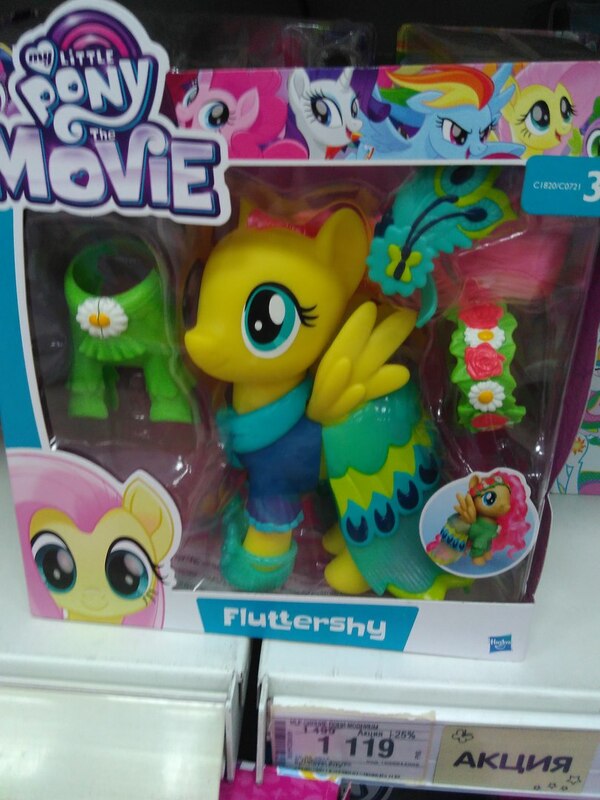 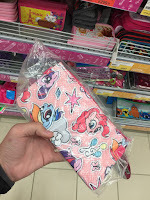 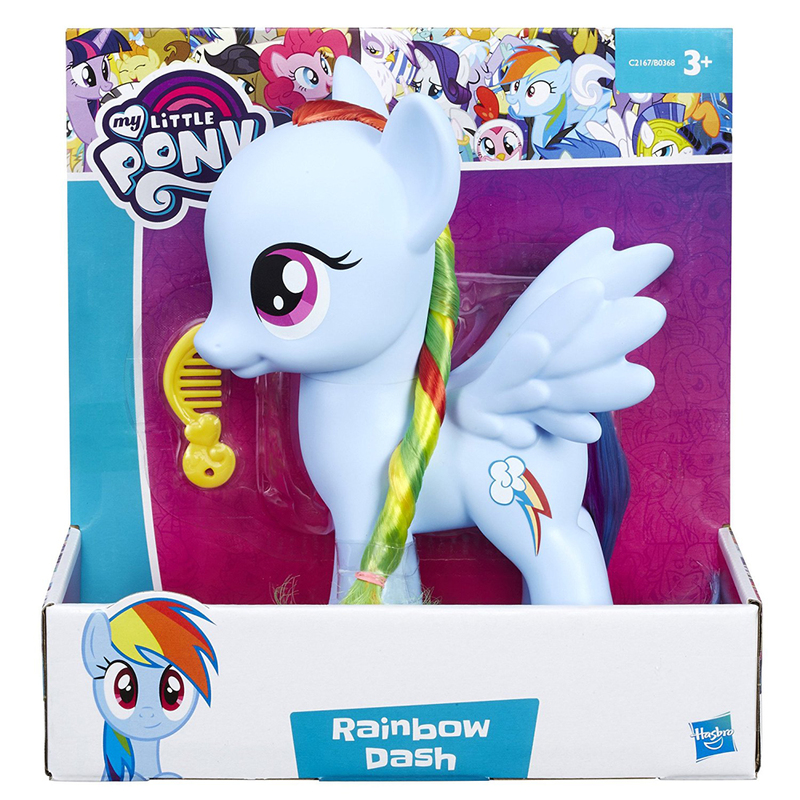 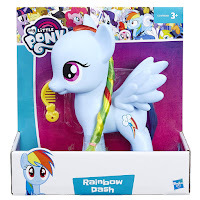 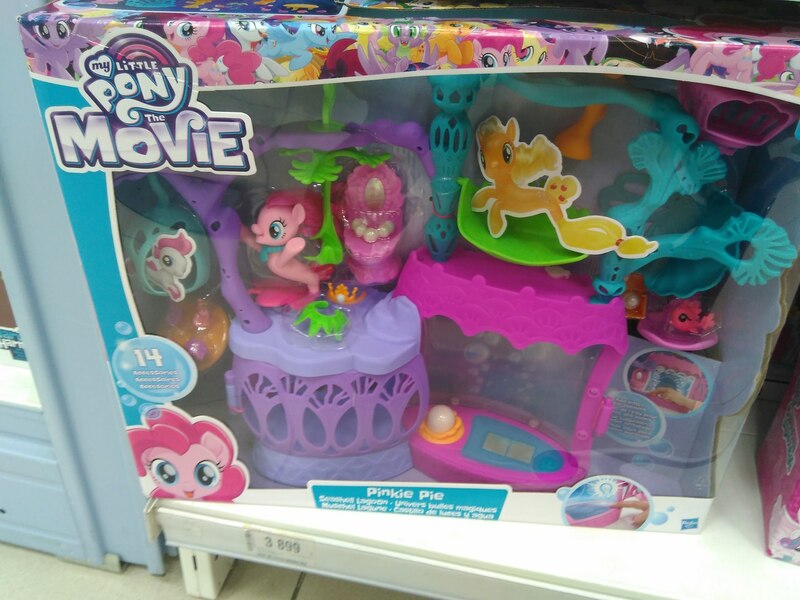 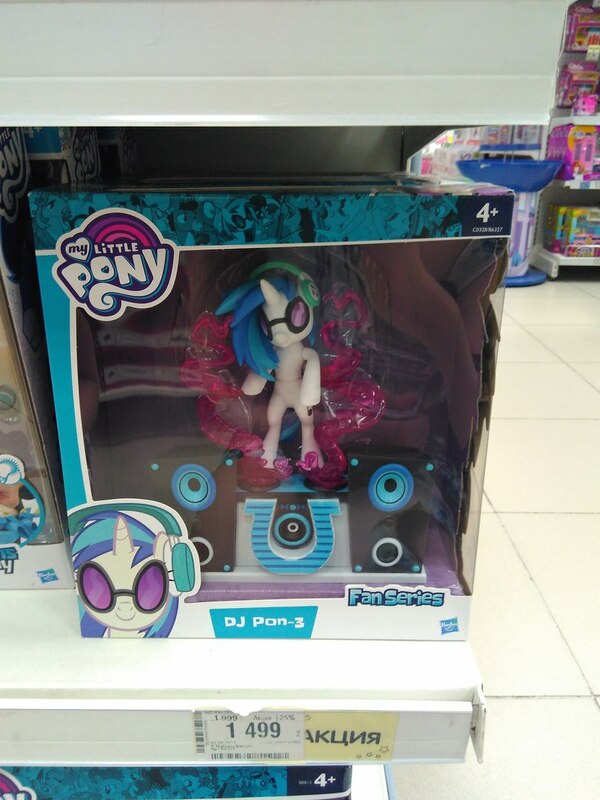 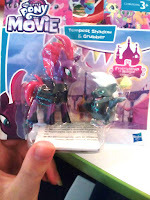 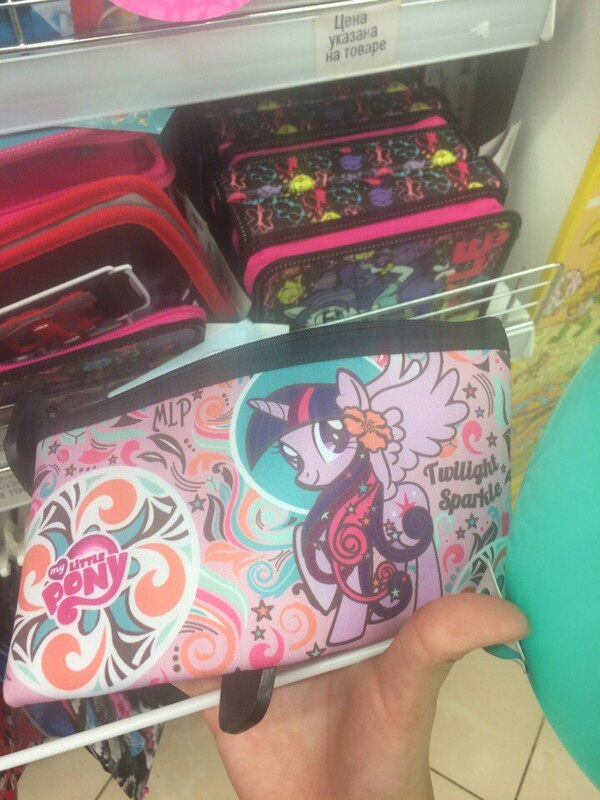 Not sure if they're all new, but the stuff has been found at Detskiy Mir in Russia (MLP The Movie Merch), Bulgaria (FiM Collection set) and LENTA supermarket (pencil case) as well as unknown stores (misc. stuff). It's a much to talk about all stuff, but a picture says more than a thousand words! 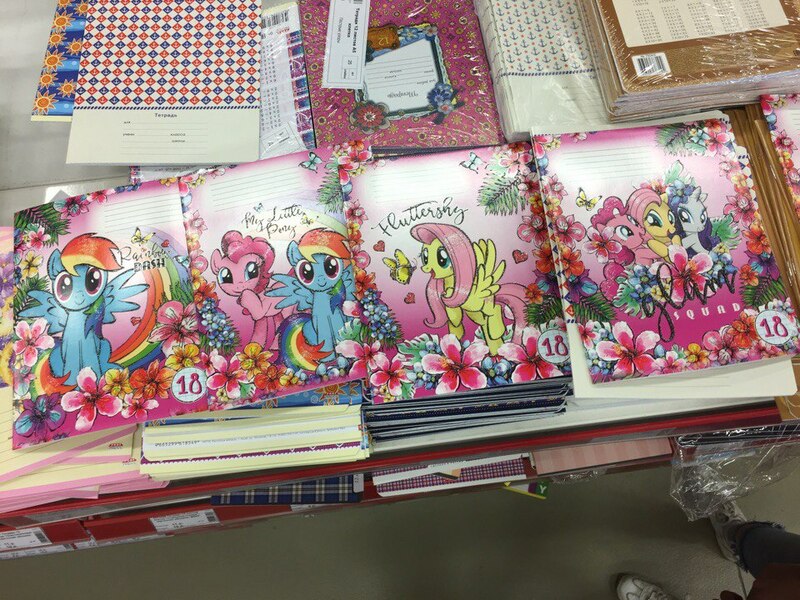 I'm saving up my birthday money to get a couple of them.